This stuff has been around since 1882 but I only found it about 15 years ago. 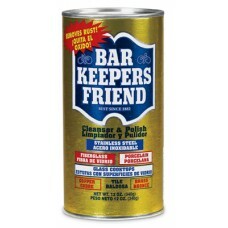 It works better than any other abrasive I've used but its still gentle. Stainless sinks, fiberglass showers and glass cook tops! 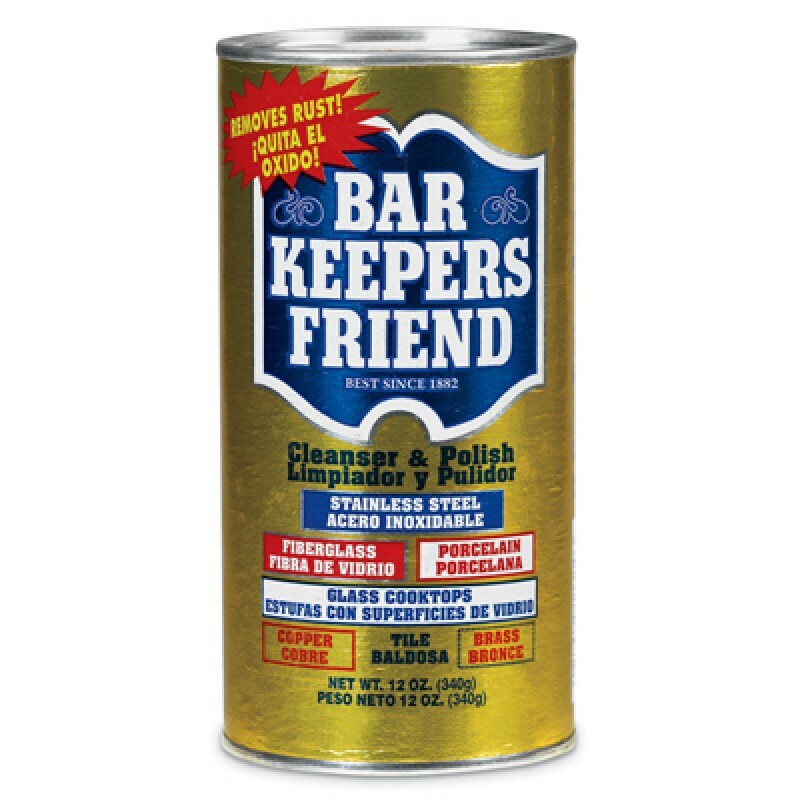 Bar Keepers Friend, 12 OZ Cleanser & Polish, Non Abrasive Powder, Removes Rust & Hard Water Stains, For Copper, Tile, Brass, Stainless Steel, Marble, Porcelain, Plastics & Glass Cooktops.